Perfect for hardworking cargo vans and custom truck builds, O-Mega II™ side steps feature a highly weather-resistant construction of powder-coated aluminum. The step pads are also aluminum and are equipped with raised circular treads for maximum traction. Rugged and stylish are not a combination you often see. With SlimGrip™ running boards you get rugged style and fleet-approved safety for your work truck or off-road truck. You get powder-coated aluminum build, expanded metal treads and a no-drill installation. 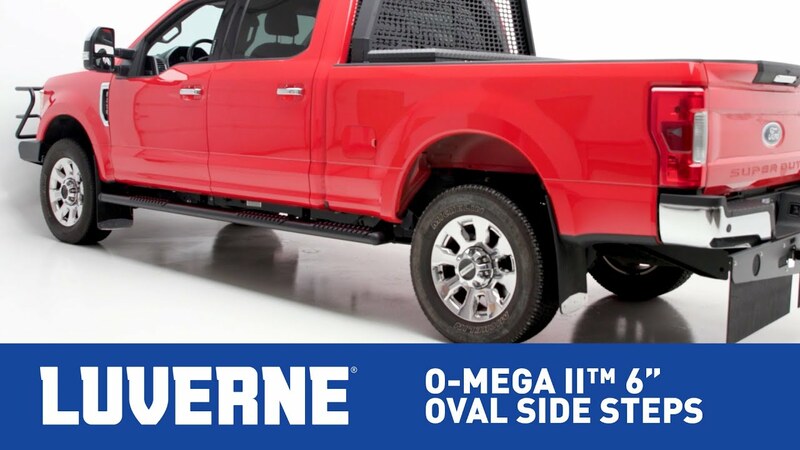 LUVERNE O-Mega II™ 6" oval side steps offer the ultimate in durability and aggressive style for work trucks and offroad trucks alike. They are built from lightweight, T6 aluminum construction, covered in a durable powder coat and finished with paintable TPO end caps. 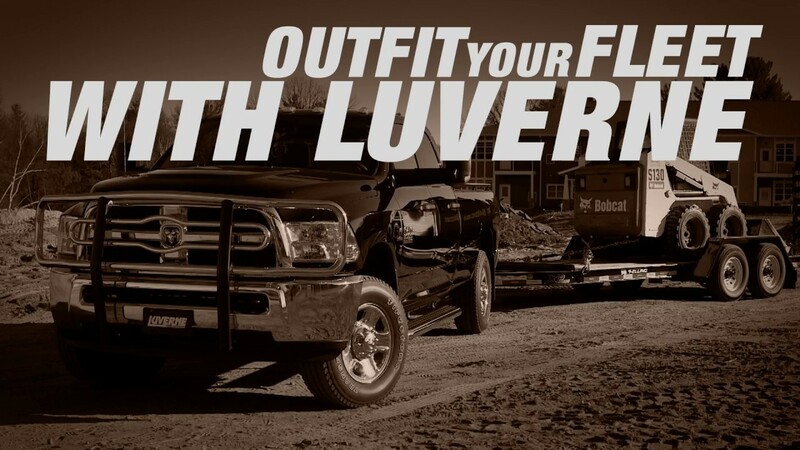 From our workbench to yours, LUVERNE has the goods to out fit your fleet of work trucks. 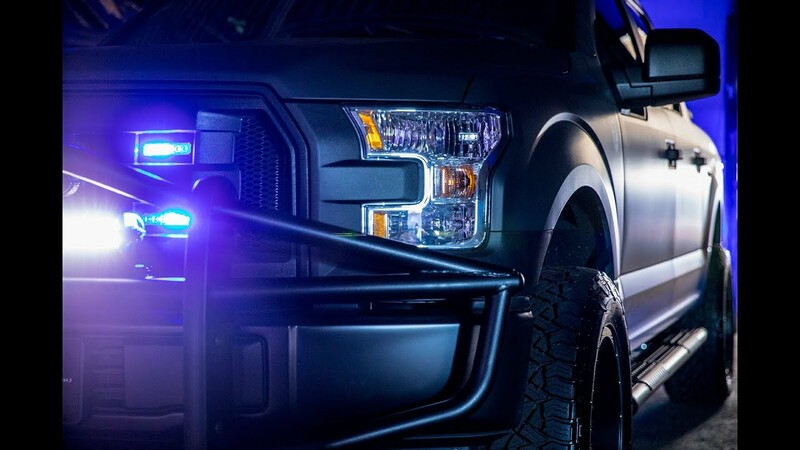 This video features a Ford F150 equipped with our Prowler Max™ grille guard, Grip Step™ running boards and Textured Rubber Mud Guards. 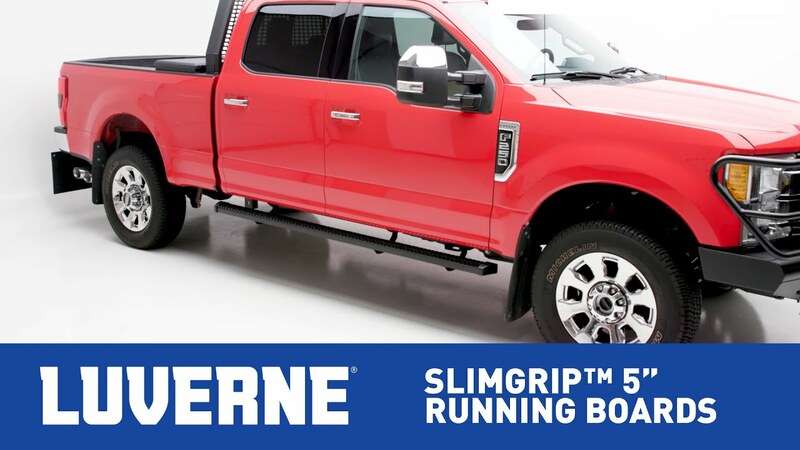 SlimGrip™ running boards offer safe footing and a sleek look to the working truck or offroader. They feature high-traction, expanded metal treads and lightweight, corrosion-resistant, powder-coated aluminum construction. They provide a 4-3/4" wide stepping surface and come with angled end caps for an aggressive look. SlimGrip™ aluminum running boards also feature the VersaTrac® mounting system for easy customization with no drilling required. We are the ones who get up at 4 a.m. to put bread on the table, day after day. We are the ones who come home late, night after night, with dirt on our hands. We are the ones who still believe in the value of American manufacturing. We are the ones who look to the generation before and pave the way for the generation to come. 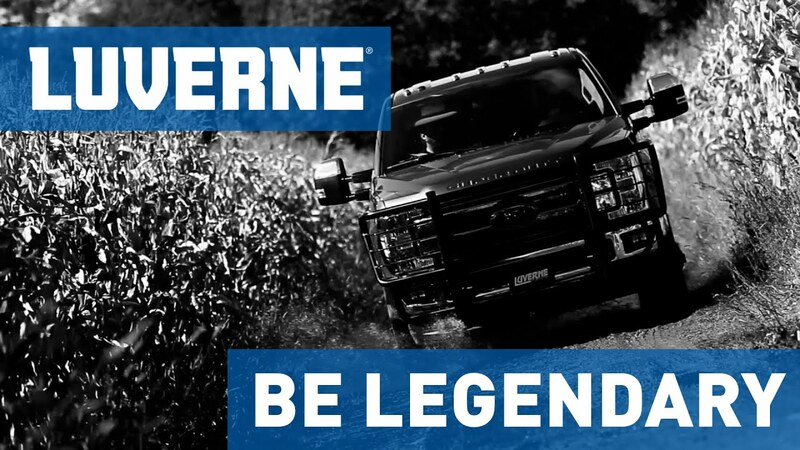 We are LUVERNE, and we have been manufacturing truck accessories in the United States since 1963. We teamed up with Tommy Pike Customs to present this customized 2017 Ford F150 to the Greenville Police Department. Thanks to Tommy and other partners, this truck was built at no cost to the GPD and will be used to recruit the next generation of officers for their community. Our crew works hard to make your crew look good. 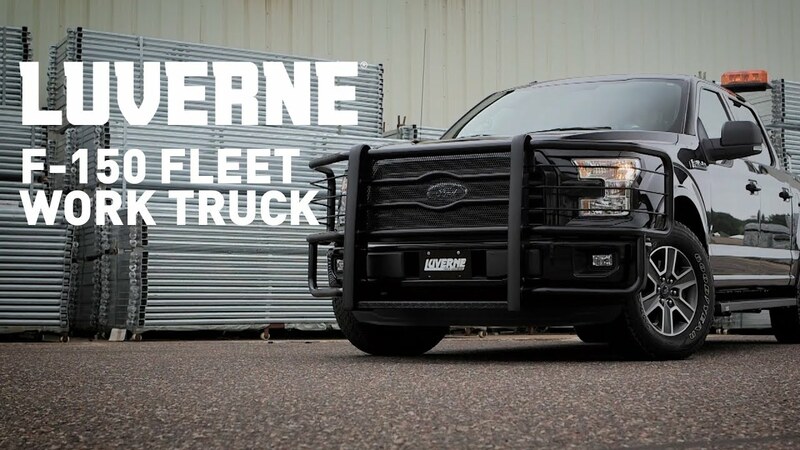 LUVERNE has the gear to outfit your fleet of work trucks to achieve a job well done. This video features a Ram 3500 decked out with our strong 2" tubular grille guard and our non-skid MegaStep® 6-1/2" running boards. 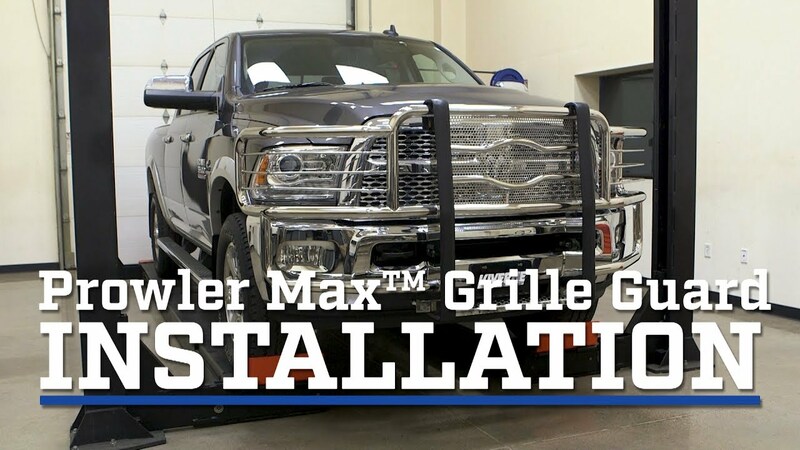 This video demonstrates the installation of the Prowler Max™ grille guard on a 2015 Ram 3500. This grille guard is available in a high-polished stainless steel or black powder-coated steel, and it can accept a winch mount for greater functionality. Do you love taking the family up to the camp ground? Do you seek the peace and quiet of an excursion into the wild? Does your satisfaction only come from working with your hands? Do you look forward to getting up with the dawn every day? Do you count on the rains to water your fields? Do you count on your tractor to start up no matter how cold the frost gets? Are you out there putting your life on the line every single day? Are you committed to keep our communities safe? Do get behind the wheel of that squad car each morning with a sense of duty to your country? Are you a traveler whose home is among the rolling hills of the wilderness and under a painted sky speckled with stars? Do you work hard to earn your wages? Does every dollar come by the sweat of your brow and the torque of your truck? Are you committed to serve? Do you get behind the wheel with a sense of pride, knowing that you’re making a difference? LUVERNE GRIP STEPS. I just wanted to say these running boards gave my truck an aggressive work truck look. They are well made and have a wonderful grip. I would highly recommend! The LUVERNE Baja Grille Guard is just incredible. It really sets this truck apart. The LUVERNE Journeyman is a great balance between form and function. Looks great and is well build. I really like this one a lot!